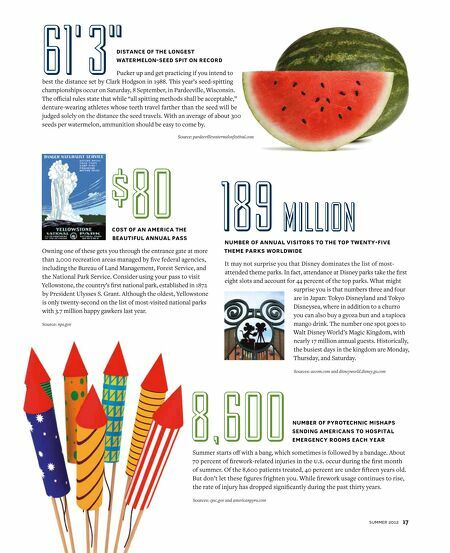 By the Numbers By Robert G. Gardner Celebrating Summer There are ninety-five beautiful and bright days this year to revel in the pleasures of summer. 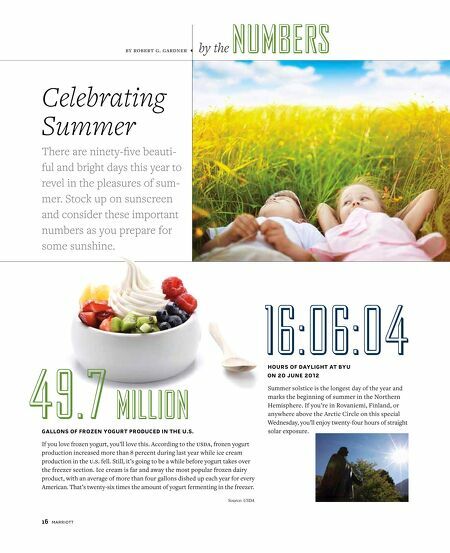 Stock up on sunscreen and consider these important numbers as you prepare for some sunshine. 49.7 million GALLONS OF FROZEN YOGURT PRODUCED IN THE U.S. If you love frozen yogurt, you’ll love this. According to the USDA, frozen yogurt production increased more than 8 percent during last year while ice cream production in the U.S. fell. Still, it’s going to be a while before yogurt takes over the freezer section. Ice cream is far and away the most popular frozen dairy product, with an average of more than four gallons dished up each year for every American. That’s twenty-six times the amount of yogurt fermenting in the freezer. Source: USDA 16:06:04 HOURS OF DAYLIGHT AT BYU ON 20 JUNE 2012 Summer solstice is the longest day of the year and marks the beginning of summer in the Northern Hemisphere. If you’re in Rovaniemi, Finland, or anywhere above the Arctic Circle on this special Wednesday, you’ll enjoy twenty-four hours of straight solar exposure.